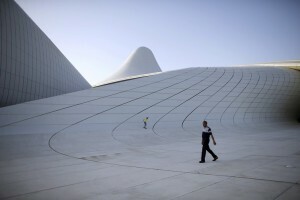 As a luminary in the world of architecture, Zaha Hadid, who died on March 31, was a celebrity whose name, face and buildings are known by millions. But the grief felt by women architects is on a different, intimate scale. With Hadid’s passing, we have lost a role model in a field that has few others. That is not to say that there are not a great many accomplished and inspiring women in architecture. But none have achieved Hadid’s prominence – as, indeed, have few male architects. Against all odds, and a great deal of prejudice, she broke one glass ceiling after another, no mean feat when that glass was as hard and thick as concrete. Her buildings redefined our ideas of what was possible, from the bursting energy of the Vitra Fire Station in Weil am Rhein, Germany to the undulating angles of the Guangzhou Opera House in China. 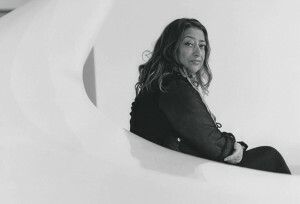 Hadid, in 2014, became the first woman to win the Pritzker Architecture Prize. Two years later, she became the first woman awarded the Royal Institute of British Architects Royal Gold Medal in her own right. As I explore in my new book Where Are the Women Architects?, role models are deeply important. Having a personal relationship with a role model is not necessary; an effective role model may be a prominent figure in the profession or even a historical one. Role models boost self-esteem by countering negative stereotypes that cast doubt on a person’s abilities to perform well in the profession. They increase motivation for career advancement and success. And they foster a sense of identification with a field, combating alienation. For these reasons, the scarcity of female role models in architecture can be profoundly damaging. A recent Equity by Design report examined the reasons that women drop out of architecture. Almost one-third of female respondents who had left the profession gave the lack of role models as the deciding factor. 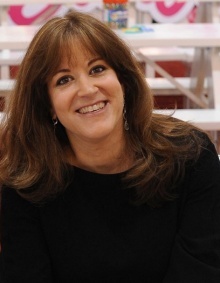 Given that architecture has a tremendous attrition problem – despite comprising nearly half of all architecture students, women represent less than 20 percent of licensed practitioners – we could ill afford to lose our most prominent female role model. There was one Zaha, and there will always only be one Zaha. Instead, the architecture profession needs to focus on removing the formidable barriers that continue to keep women from rising to the top. And the media, too, has a vitally important role to play in paying attention to the outstanding work being done by women architects around the world. Journalists might also reflect on how they treated Hadid herself, who for every positive line written about her seemed to attract another two that cast doubt on her work or integrity. For mixed in with the grief at Hadid’s loss is also anger among women architects who, no matter how they felt about her work, could empathize with the hostile reactions that, too often, seemed to come her way. After Hadid won the Pritzker Architecture Prize, architectural journalists who might have been expected to laud her achievement instead commented negatively on her looks, clothes, ability to speak English and her talent and worthiness as a laureate. No other Pritzker Prize winner had been subjected to such a belligerent press response. The New York Times architecture critic Herbert Muschamp referred to her as “a big, raucous peasant woman” whose “earthier appetites” leaned toward eating lamb testicles over reading books. Guardian reporter Stuart Jeffries suggested that the price of her global travels and successes was to be single and miserable. Edwin Heathcote of the Financial Times rudely asked her if she deserved the prize. That Hadid rose above it, fought back, and even walked out of interviews may have been perceived by some as diva-like. But to many women in architecture, her toughness was about a refusal to be dismissed. And that meant a lot. We are currently in the midst of a grassroots movement in architecture, led by many young women and men, demanding that the profession become more diverse and egalitarian. Hadid had, in recent years, become outspoken on the professional difficulties she faced as a woman, and she had an authority and platform to speak about discrimination that won’t be easily replaced. She leaves, as part of her great legacy to female architects around the world, a duty to carry that light forward for the next generation of women who, like Hadid, will fight for – and, I hope, find – their place in architecture.